8 - [WORLD SERVICE] - June 2001, Abney Park Cemetery, commission from Stoke Newington Festival, London. Collaboration with over 60 artists - 2 nights. 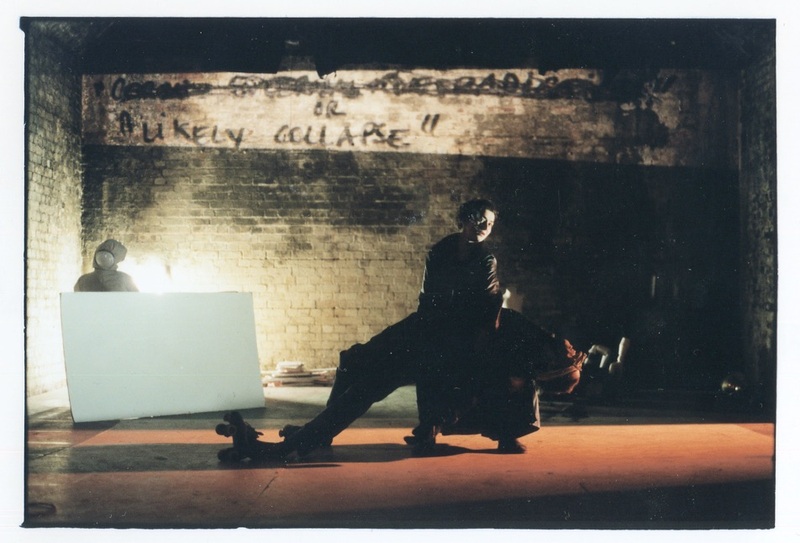 10 - [TAKE IT, TAKE IT] - collaboration with Icarus for Edinburgh Festival 2001 - 3 week run, 18 outdoor performances in St Cuthbert's Churchyard/ Lothian Road.